A dragonfly is a cute insect that stays both on water as well as land thats why they make such great nail arts. 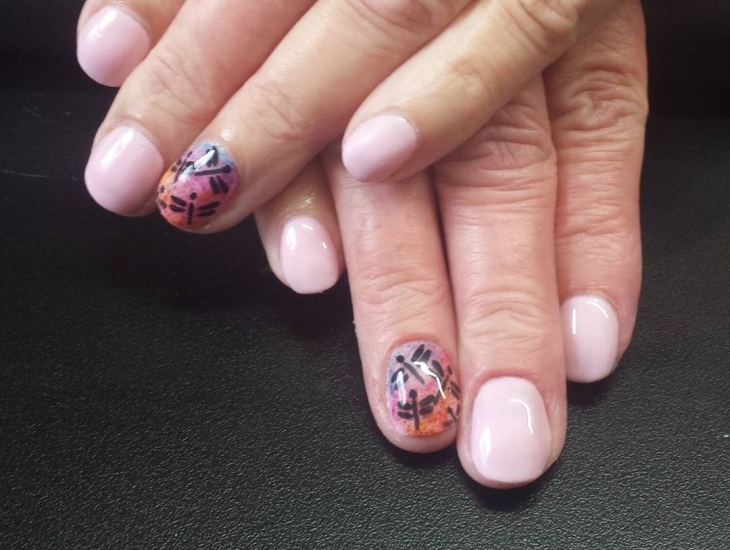 These beautiful, cute nail designs hold different meanings depending on culture. 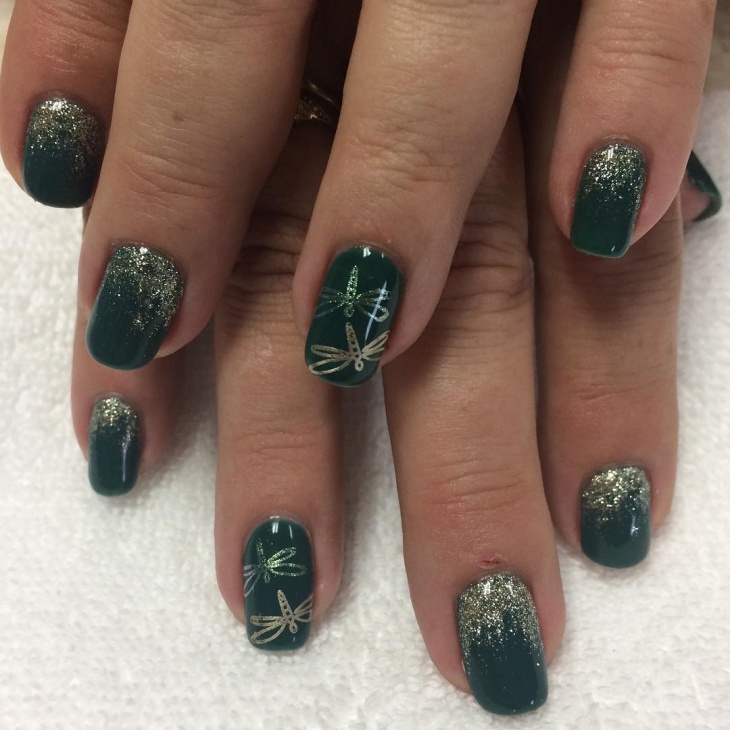 With symbolic meaning such as strength to overcome life obstacles, endurance, self-realization, harmony, and peace; a dragonfly nail art is perfect for women of all ages. Whether on long or short nails, these dragonfly nail art will look good on you. These cute watercolor dragonfly nail designs are the perfect way to make your nails stand out in the office. Opting to add small but beautiful dragonflies on your wedding fingernail only will also make your wedding ring stand out. 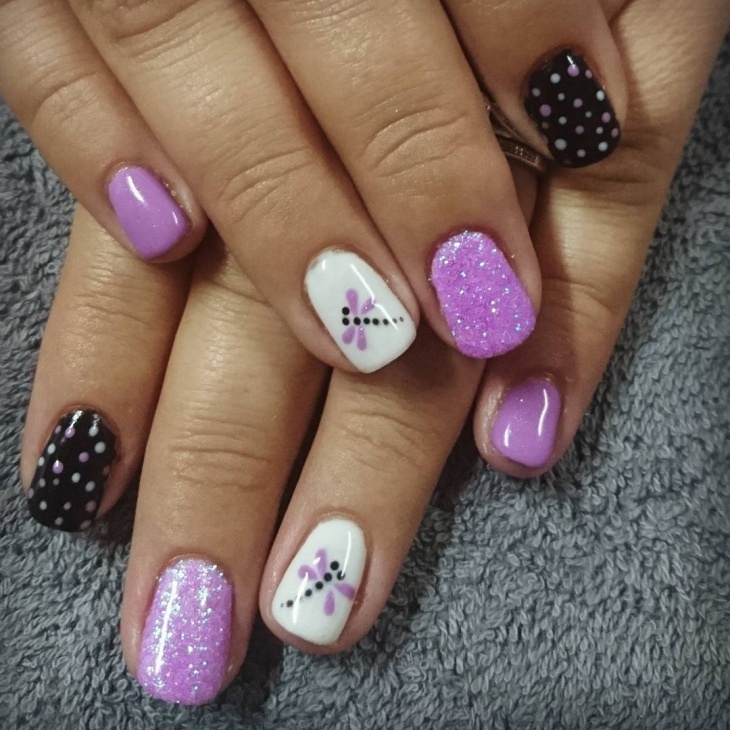 Make your French manicure stand out by going for this black and white dragonfly design. 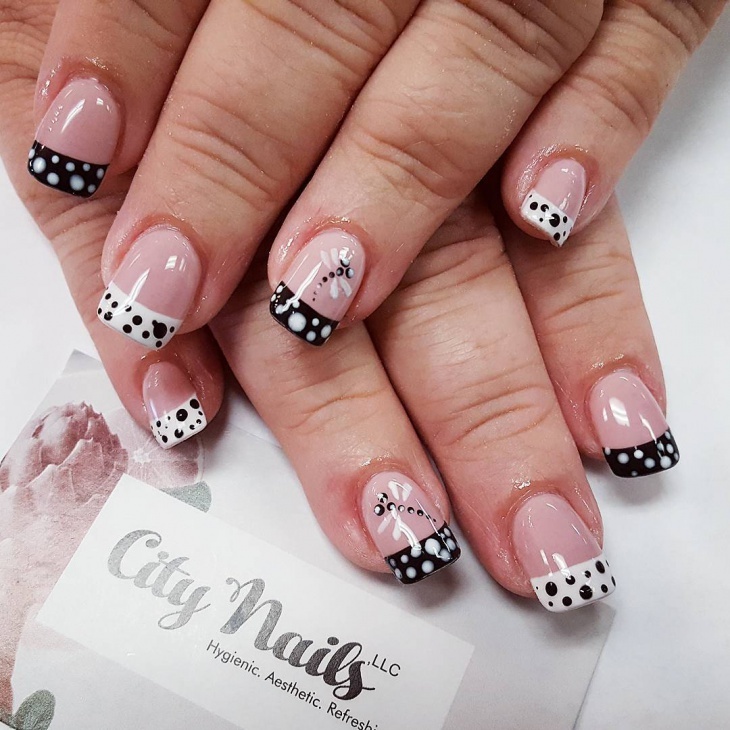 The trick to recreating this design is to alternate the white and black polka dot designs on your fingers and add a simple dragonfly on a few nails. 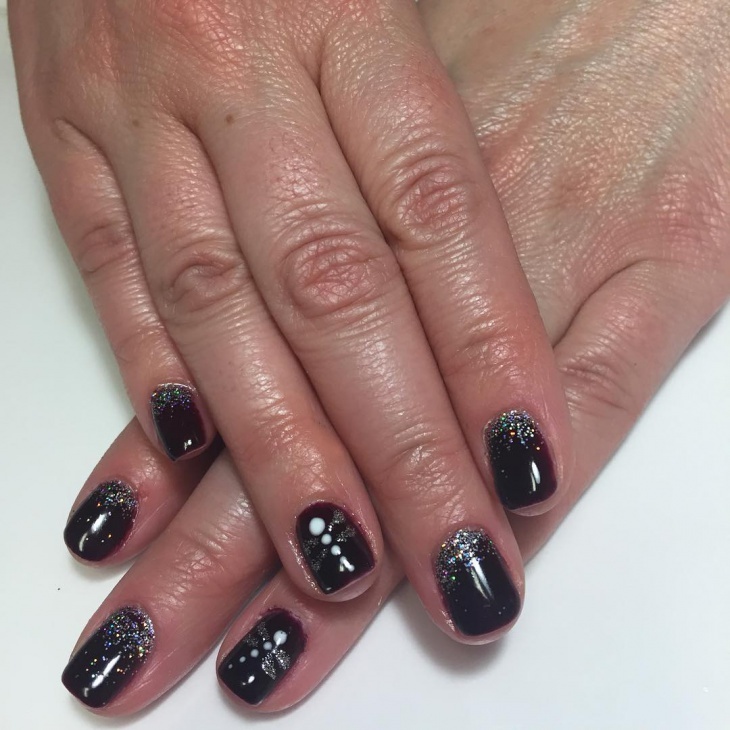 Adding glitters to your nails is the ideal way to make your nails glamorous and elegant. Suitable for ladies in their twenties, the vibrant green color will make your long nails beautiful. Opt to draw the dragonfly using gold glitters. Ladies with short nails and who prefer less vibrant color on their nails can go for these French tip dragonfly nails. 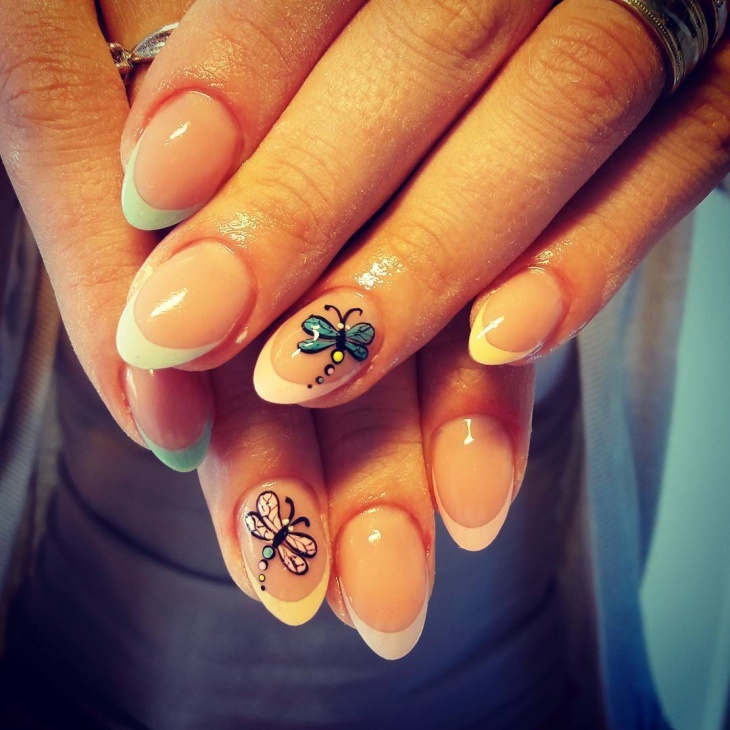 What’s unique about this nail art is that the pink color on the wings of these trendy insects adds a feminine look. Purple is a symbol of romance and royalty. 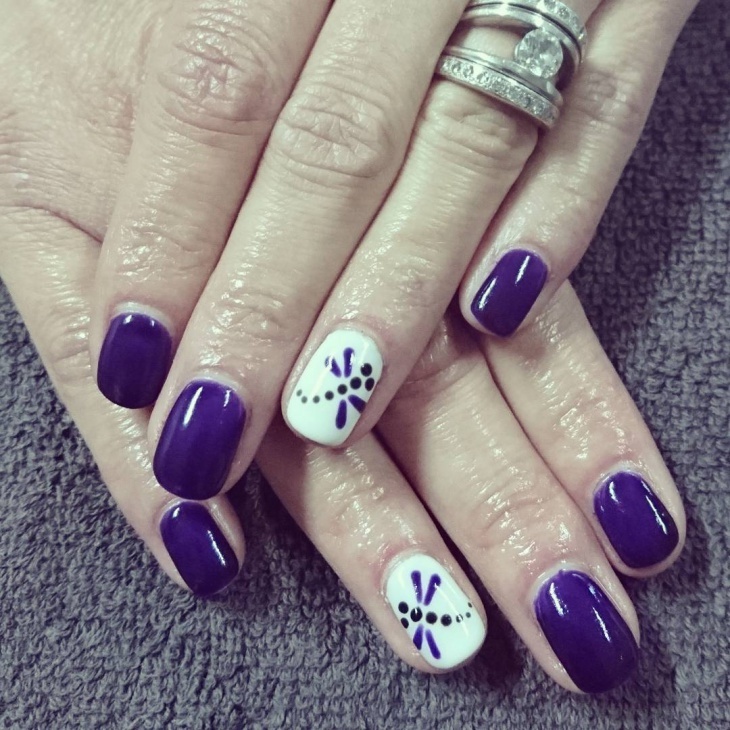 So why not portray your romantic side by opting for these purple and white dragonfly nails. Suitable for women with short nails, this design is both cool and chic. In Japanese culture, a dragonfly is a symbol of happiness. Go for this cool dragonfly nail art to portray your good mood and positive state of mind. 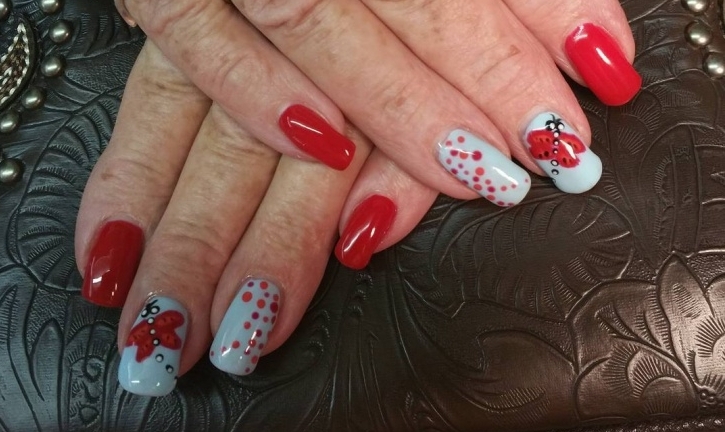 The red color gives this design a modern and fun look suitable for women of all ages. 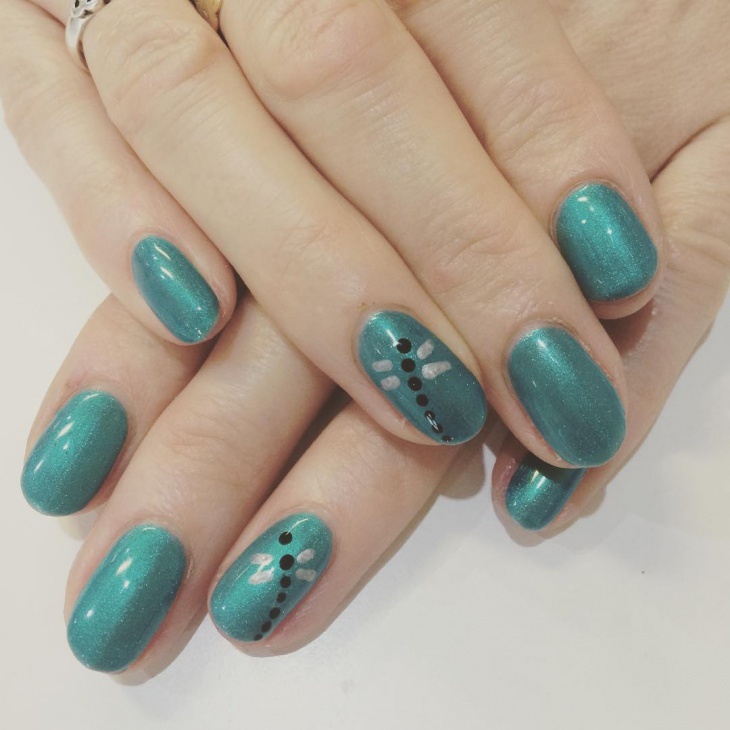 If you love polka dots on your nails, then add a bright dragonfly nail art to make your fingers more beautiful and vibrant. 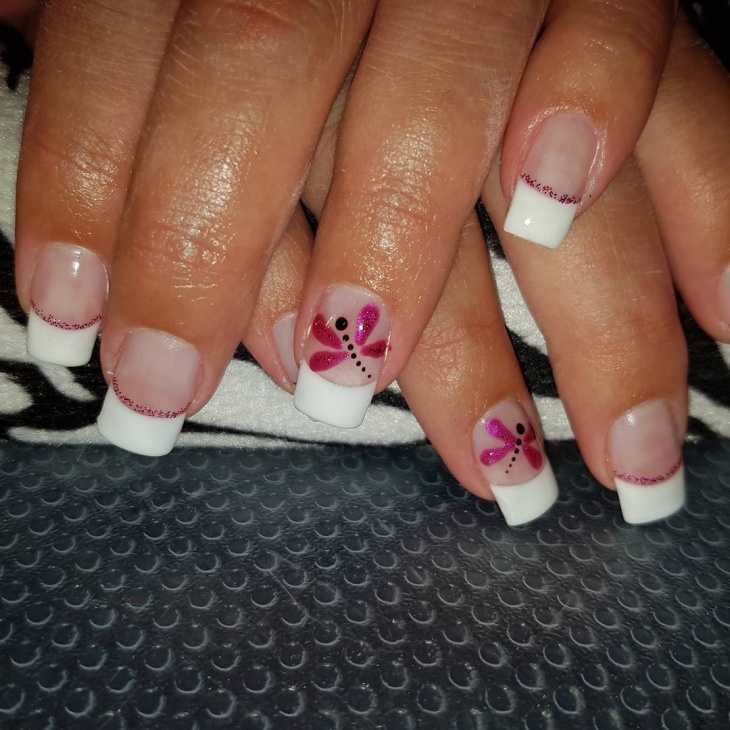 These gel dragonfly nails will even look good on teenagers who want to show their fun side and creativity during summer. Suitable for young girls, this cute dragonfly nail art is simple yet elegant. 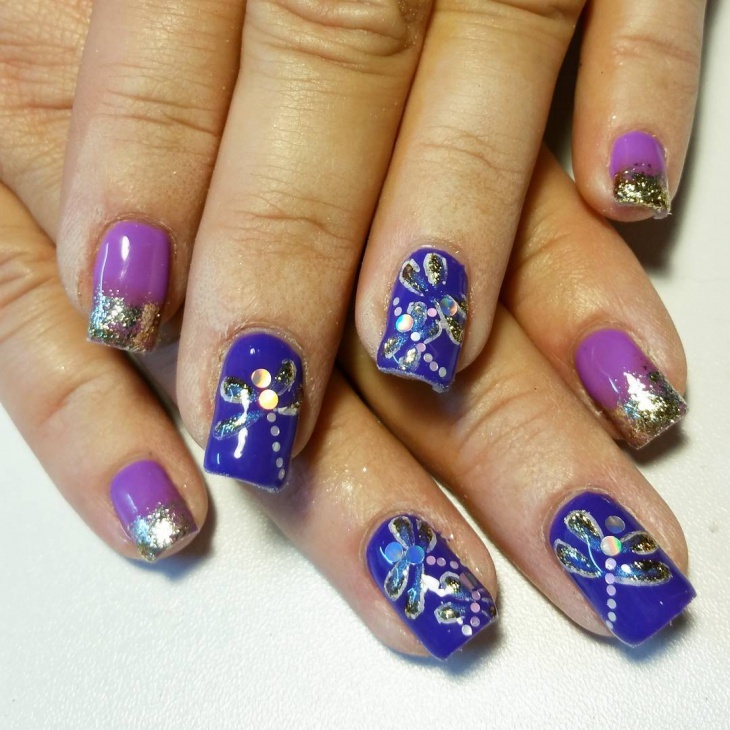 To get this design opt for a monochrome color and draw the dragonfly wings using gold glitters and for the body use white nail polish. 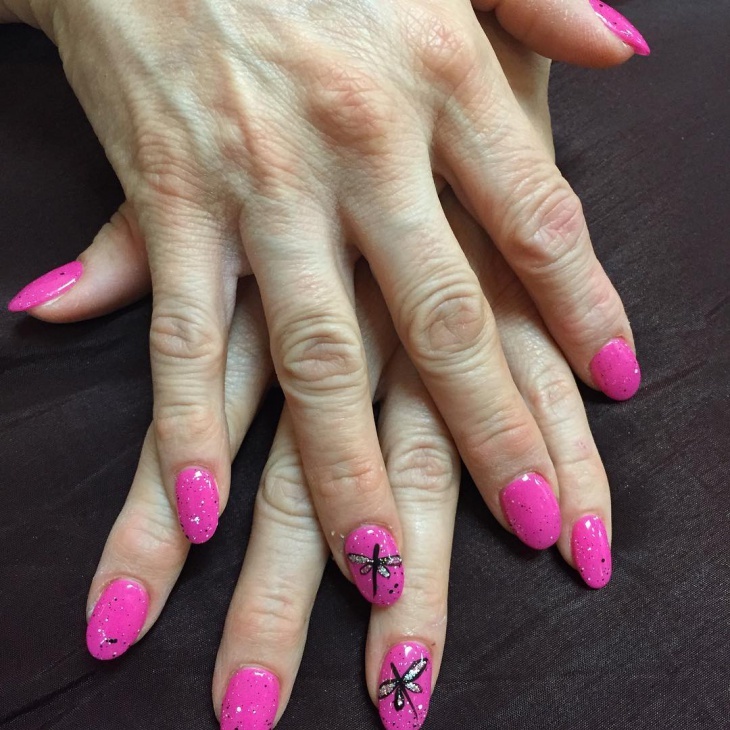 Women who love colorful designs or want to depict their playful nature will love this cartoon dragonfly nail design. Instead of drawing a simple dragonfly give life to your nails by drawing an animated dragonfly character and add lots of bold colors. 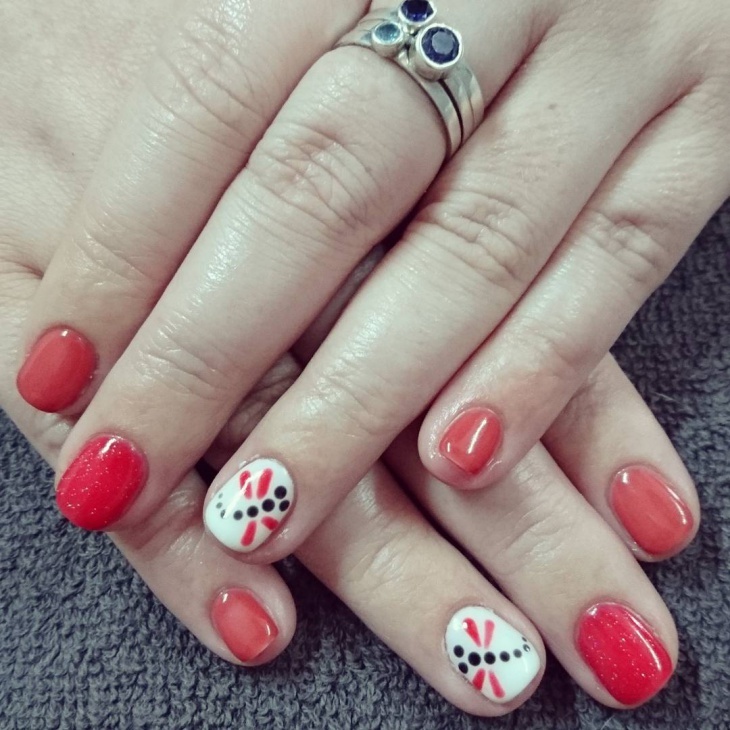 Ladies if you’re going for a vacation or summer holiday, then this dragonfly shellac nail design will add a feminine touch to your fingers. To ensure this nail art matches with your casual outfits then draw the dragonfly using black and white colors. 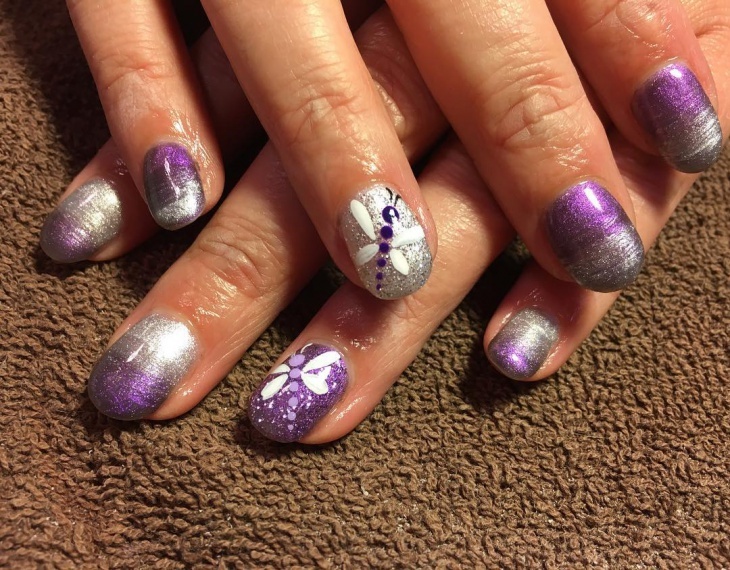 What Do Dragonfly Nail Art Symbolize? In the Native American culture, this insect is a symbol of happiness, courage and the ability to overcome losses. While in Asian culture a dragonfly nail art represents transformation and harmony. 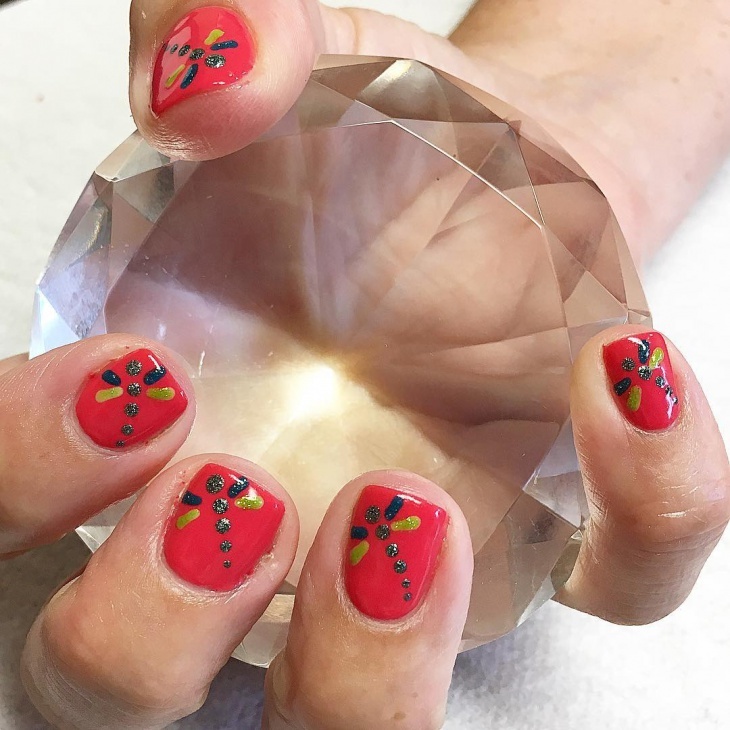 Apply a clear base on your nails, dip a toothpick in black nail polish and make dots in the shape of a dragonfly including the outlines of the wings. Add pink color in the wings and a clear top coat. Just like colorful butterfly nails, a dragonfly nail art is also beautiful and chic. 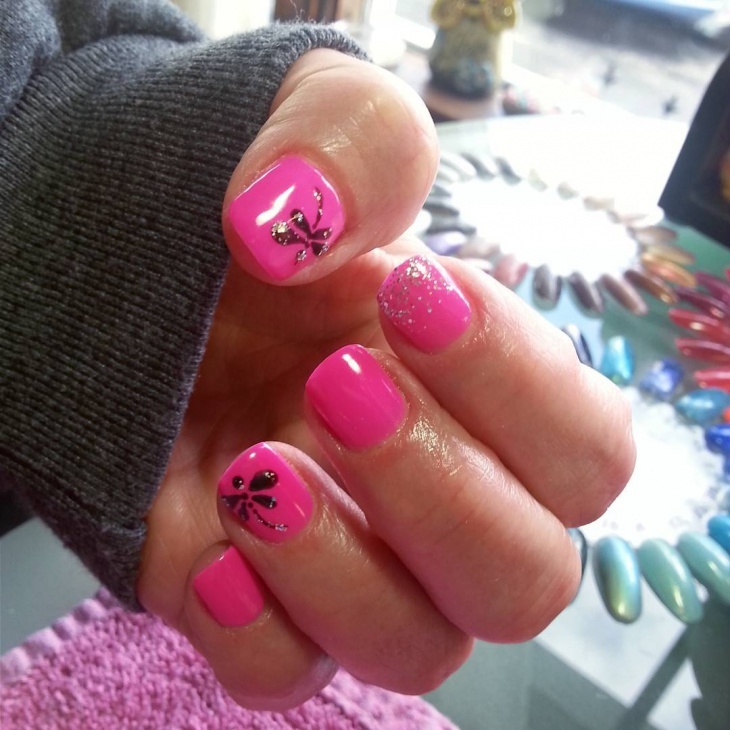 Women who love French tip nails can spice up their mani by adding small yet cute dragonfly designs. Whether on short or long nails, dragonflies will make your fingers beautiful. 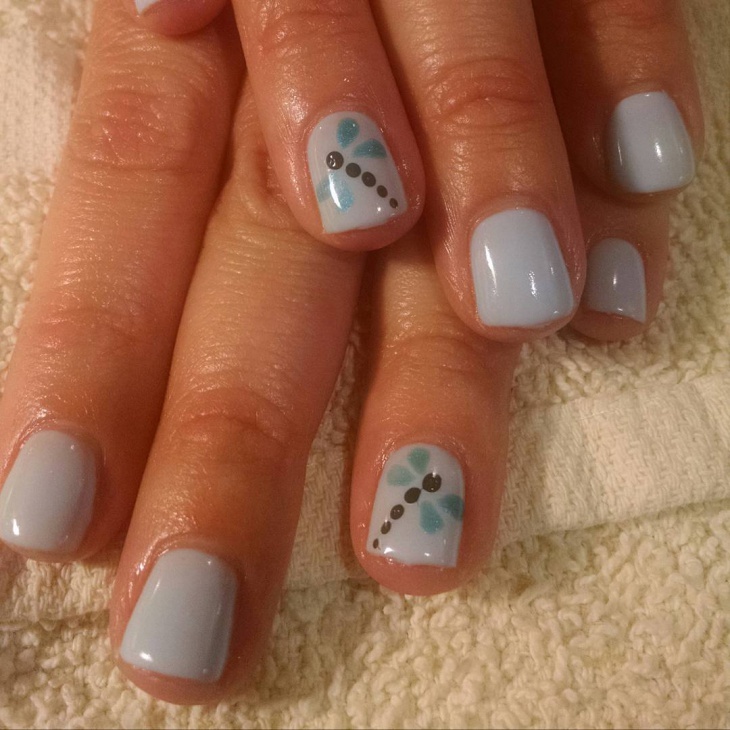 So choose your favorite color and get one of these beautiful dragonfly nail designs.